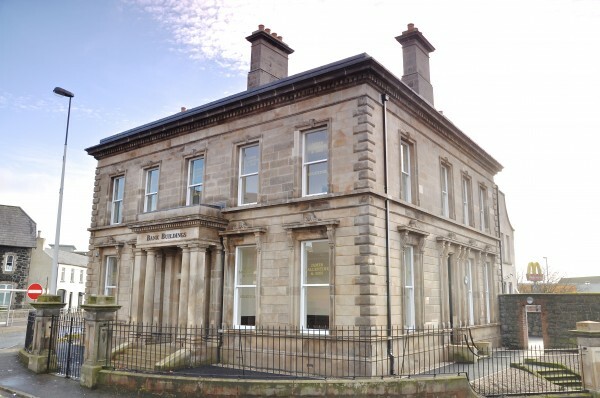 Restoration of Listed former Ulster Bank building for use as office premises. The former Ulster Bank building had suffered from years of water penetration, leaving the fabric of the building in poor condition, while all the roof and floor joists had rotted and needed extensive repairs and replacement. The 52 week project involved the restoration of the Listed building for use as office premises. The building is now occupied by a firm of solicitors. Replacement of the Bangor Blue slate roof. New lead cladding to the parapets. Plastering and dry lining of internal walls. Installation of a new damp proof course. Associated mechanical and electrical works. The existing car park was re-surfaced, including the upgrading of the existing surface water drainage installation system. A bit more information about the the Former Ulster Bank Building project.